On our second day in Oakland, we visited a couple of indoor flea markets in the morning; I found a cookie jar and a first edition of the book, Harry Potter and the Sorcerer's Stone. 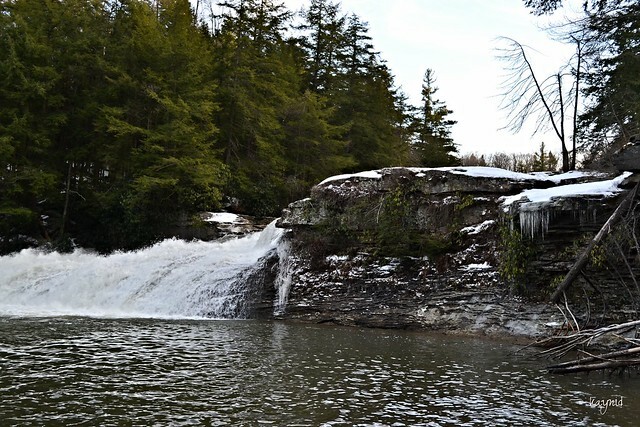 In the afternoon, we decided to do a little hike to Swallow Falls. 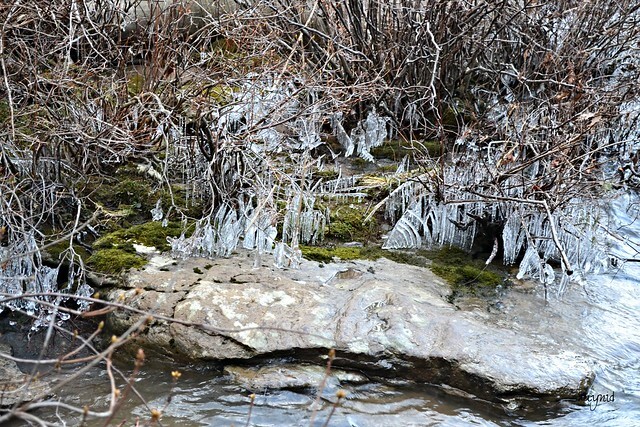 The trail was icy and slippery, which made for a treacherous hike. I wasn't sure if I was sweating from anticipation to see the falls or from fear of slipping and landing flat on my back. My boots couldn't get a good grip. It felt freezing up in the mountains. My excitement unraveled when I saw the beauty and nature that surrounded me. 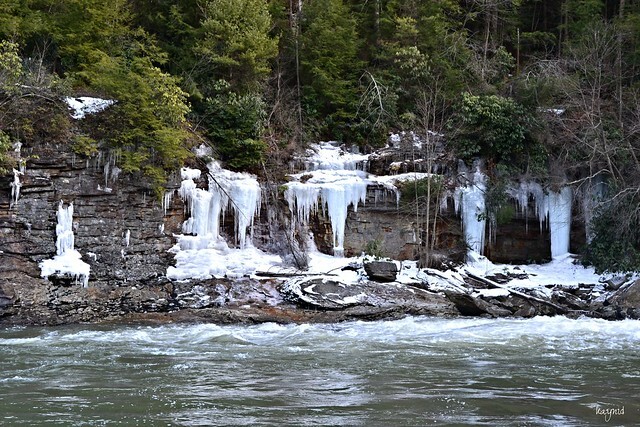 We had to get off the trail to check out these beautiful ice formations by the shore. 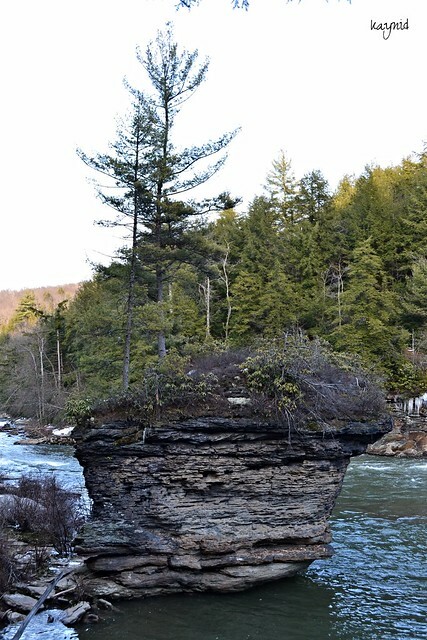 Island by the Youghiogheny River. Swallow Falls wasn't as big as I expected, but it was refreshing to hear the rush of the freezing water. The sound of the waterfall was zen. I felt the pulse of the river and the quiet breathing of the trees. I also realized how time doesn't exist in places like these. Oh wow. That first photo is amazing - but it made me shiver! beautiful and evocative impressions of this underwater world. I was telling the hubby we've been talking about visiting the East Coast for the longest now and we still haven't. Surely from your posts there are so many interesting spots in that side of the country. It's beautiful and serene. I would want to go back too. Wow, its very seldom someone would see falls. Its beautiful Kayni!! 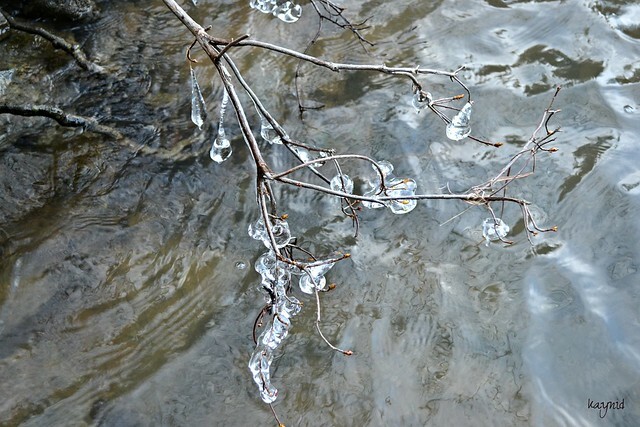 I love seeing the first photos of the water frozen. We don't get to see things like this ehre in Ph. I love waterfalls and flea markets! :) your pictures are so relaxing, Kayni and I hope you'll share snaps of flea markets too. My goodness but these are beautiful photos!!! They leave me speechless!! Thank you, too, for your most welcome visit! Magnificent! I love the ice art. Thanks for visiting!